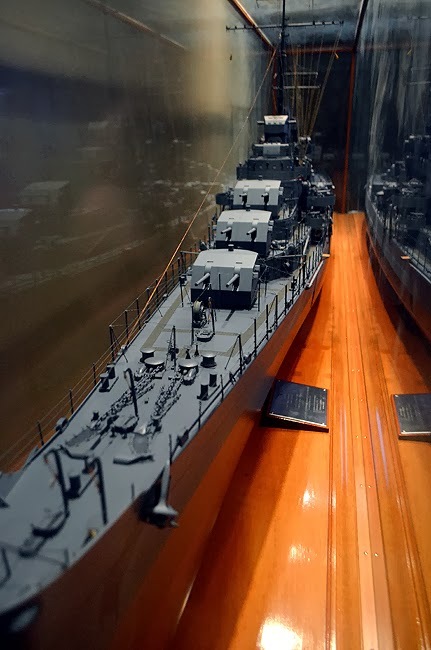 The USS Atlanta (CL-51), a light cruiser in the Untied States Navy, was the third ship to bear the name "Atlanta", named for Atlanta, Georgia. But she wasn't the last. 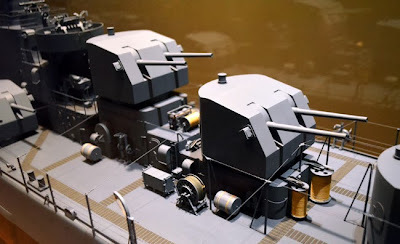 Having served in the US Navy myself, I'm grateful to the Atlanta History Center for the USS Atlanta exhibit. USS Atlanta was commissioned on December 24, 1941, by none other than one of the newest household names at the time—and still today—Margaret Mitchell, famed author of the global sensation Gone With the Wind. 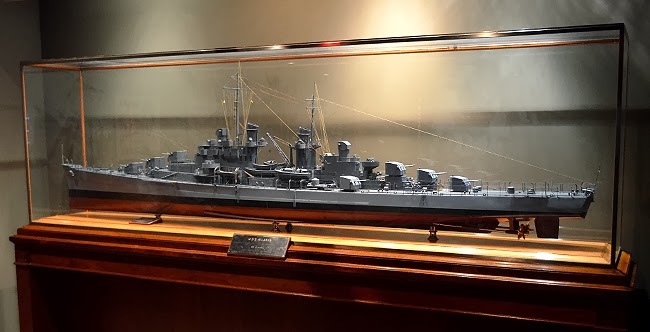 This exhibition features a brief video showing the history of the USS Atlanta, including video footage of Margaret Mitchell's smashing a bottle of bubbly across the bow of the ship—I can't tell you how cool it is to see live footage of Margaret Mitchell! On a side note, just outside the USS Atlanta exhibit is a one-wall Gone With the Wind exhibit that features additional video footage of Margaret Mitchell, as well as the leading cast of Gone With the Wind, at the premier of the film at the Loew's Grand Theatre in 1939, which of course won an Oscar for "Best Picture" that year. Unfortunately, the USS Atlanta (CL-51) was sunk in the Naval Battle of Guadalcanal on November 13, 1942. Margaret Mitchell and at-the-time Atlanta Mayor William B. Hartsfield launched a campaign to rebuild the USS Atlanta. 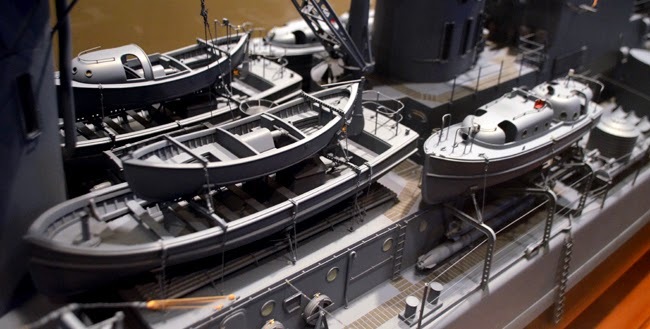 They were overwhelming successful, raising nearly enough money to build two ships! Margaret also commissioned the new USS Atlanta (CL-104), which played a role in Pearl Harbor, and in October 1970 was sunk as a target. The champagne bottle Margaret used to commission the USS Atlanta (CL-104) is on display at Central Library in downtown Atlanta. 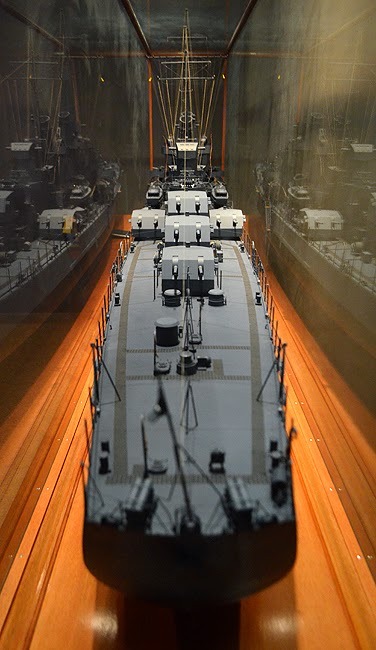 The model of the USS Atlanta (CL-51) was a gift to the City of Atlanta from the United States Steel Corporation, and it was dedicated to the ship and her heroic crew. 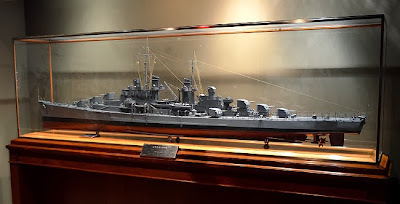 When visiting the Atlanta History Center, be sure to stop in to see the USS Atlanta in the Metropolitan Frontiers gallery, and please make time to view the brief video about the ship. And while you're there, Veterans Park, which is on the Center's complex, is a great place to honor the sailors who were lost on the USS Atlanta (CL-51).